Paks is a virtual treasure trove of hair products. There is nothing that is needed for the care of afro textured hair that you cannot find here. We have an endless collection of hair shampoos, hair conditioners, and hair treatments for the scalp and all hair types whether it’s natural, coloured, chemically treated or dry and damaged. We have both professional afro hair care products like hair relaxers, hair texturizers and perms and also hair care products for use at home. Whatever your styling needs, choose from our wide range of hair care and maintenance products to suit your style. Natural hair wearers will find the right hair moisturisers, hair creams, grease and pomade and oils, serums, sprays to keep the tresses strong and healthy. Those with relaxers or perms will find wax, gel, hair colours and dye, straightening balms and serum, hair sprays specially formulated for their hair types in just a few clicks of a mouse. Collection of top branded hair products for dry brittle, damaged, frizzed and lifeless hair. Manufacturers like Dark N Lovely, Motions,D n R, Phyto, Kera Care, Ambi, Makari and many more. At Paks we sell a huge range of shampoo for all hair types. We have a big selection of dry hair shampoo that gives moisture to dry hair. These moisturizing shampoos are suitable for brittle hair and are known as humectants shampoos. Top selling branded conditioning shampoos contain shampoo and conditioner in one are available in this section. These 2 in 1 conditioning shampoos or treatment shampoos clean your hair while leaving their shaft and cuticles sleek and smooth. If the aim is to transform own hair into bigger and fuller hair then these volume boosting shampoos are efficient for hair. These volumizing shampoos provide body and volume to own hair thus these shampoos can also be referred as bodifying shampoos and volume lifting shampoos. Fuller hair shampoos may give volume but they do not actually strengthen weak hair and roots. However one of these hair thickening shampoos are can be used to attain thicker hair. Protein shampoos and hair strengthening shampoos actually make hair stronger and thicker. Hence these are ideal shampoos for weak hair. Paks also has a whole category of shampoos for coloured hair, these are blonde shampoos, silver shampoos, brunette shampoos; coloured hair shampoos and keep your hair color safe. They are safe for the hair color yet are effective hair cleansers. The pH Balancing shampoos and neutralizing shampoos not only maintain your hair in their original state but are widely used as hair relaxer shampoo and hair texturizer shampoo because they bring processed hair and relaxed hair back to their neutral and normal state. These normalizing shampoos are popular among African-caribbean and ethnic women of colour. Deep cleansing shampoos are dense hair cleansers as they remove dirt and oil from your hair and promotes clear hair. If you are looking for a sensitive shampoo or a shampoo for sensitive scalp then these gentle shampoos are ideal for dry and itchy scalp. Paks keep a whole range of shampoos that are especially formulated for children. These baby shampoos come with a dilute formula to match the requirements of sensitive skin that your baby or child has. Anti dandruff shampoos are probably the fastest selling range in shampoos to get clear and dandruff free scalp. Paks also manages the stock of best selling braid shampoos, wig shampoos and extension shampoos for both the real hair enhancements and artificial hair. Dermatological tested shampoos and allergy tested shampoos fall in this category of infected skin shampoos. Additionally eczema shampoos, dermatitis shampoos anti lice shampoos and rinse free shampoos fall within this class. Shampoos for men range contains all the mens energezing shampoo. These leave in shampoos are spray shampoos that do not require wash or rinse that is why they are also called dry shampoos. Paks hair and cosmetics have a massive variety of hair moisturisers. Moisturising hair of all types, especially afro coarse hair is important for their appearance, health and vitality. Our hair moisturizers come in moisturising shampoo, moisturising conditioner, hair lotions, hair cream, and oil and hair spray forms. We have treatments for dry hair which helps reducing dryness from hair. Paks also have the variety of differe kids hair moisturizers. 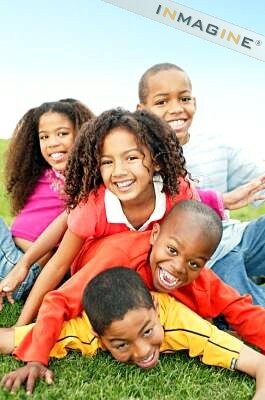 Famous brands like beautiful beginnings hair moisturizers, Just for me hair moisturizers are the best for kids hair. Many more other brands like soft and precious, mazuri kids products, kids organics, makes your choice perfect. Here in this category of hair care products we have carefully selected complete range of products that are available to get celebrity hair styles. These professional shine hair sprays and conditioning hair spray are available here to get sleek and smooth finish and elegance no matter which style do you adopt. These hair setting lotions and styling hair creams are best selling hair styling products to get better hair styles. For women having thin hair, these hair volume products and hair lifters give fuller hair by making hair alive and boosted. We also have hair styling mousse and hair design foams. Additionally our range of hair holding sprays, styling wax for hair, hair gels, hair gum, hair putty are available to style hair with hold. We also provide hair pomades for styling. Here at Paks we have anti frizz products as well. These frizz eliminating products for hair are especially formulated to control frizz. These leave in styling conditioners are available here to provide sleek finish and to maintain your hair styles and if you want to make soft waves and looser perms then these curl activators are high in demand. Our hairsprays and hair spritz are known to fix and style hair. We also have special products for men hair styling and to get styles for braids. Pak Cosmetics Centre has something for everybody, these baby hair styling products are to provide suitable hair styles to hair of your children. Styling of hair is simple skill that anyone can learn! Provided someone tells you how... lays out the nitty gritty techniques professional hair stylists know and use. Paks has so many different brands for styling, we have styling products by American Crew, we have hair styling products by Fudge, Paks also have styling products by so many different brands like, styling and moisturizing products by Africas best, styling products by Keracare, styling products by Africare, styling products by African pride and many more. This section contains whole range of hair styling products especially designed of the delicate scalp and hair of your princess with ethnic race and mixed race. These hair care products for babies are formulated to give styles to the hair of African-caribbean children and African-american babies. This section includes hair texturizers for kids and the girls hair relaxers. We also have baby hair styling products like children hairdress, hair pudding for kids, kids styling gel, kids hair pomade and kids detangling sprays. Paks also store hair moisturizing products for your babies. These baby hair moisturizers prevent dryness and keep the delicate hair of your princess moisturized. Here you can find best kids shampoos that are mild on skin yet cleanse efficiently. We also have no tear formula baby shampoos and mild shampoos. With these special shampoos for children, you can choose a suitable baby conditioner or kids conditioning treatment and conditioning spray for children for a smooth healthy and sleek finish.